Website Banner or logo is one of the key factor of attracting visitors for forever when he/she visits your site at the first time. Hence one should must have a killer site logo. But the problem is that it is hard to make and most of the people don't know how to create it with Adobe Photoshop or any other tool. 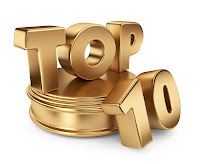 Therefore today to help you with these i had made a collection of Top 10 Sites where you can make free logos, texts, avatars and banners for your website without having any knowledge of Image editing skills. So just visit all the given sites below and make different types of designs for your site which suites you the best. Lets have a look! 1. Live Banner Maker- You can create online banner for any size also you can upload your own image and give them a pro effect with their editing tools. 2. Logotypecreator- It is one of my favorite site which creates free as well as paid logos for your site. All you have to add your name or site name to this site and see different style patterns of it to download. 3. Banner Fans- A great website where you can upload your own image and edit them also you can make a banner for any size.The banner will be saved in .jpg, .gif or .png format. 4. Banner Creator- You can add two funny graphics and edit their size, dimension, text, color and so on.The banner will be saved as .gif format. 5. Online Banner Generator- In their there is only one banner size (468p X 60px) for your choice, also they have lots of background templates and you can add some cute ClipArt's to the banner. The finished banner will be free and available for downloading in JPG format. 6. Glitterizer- In their you can make a free banners and logo also you can choose your logo design among the 700+ different various styles. 7. Avatar Generator- Avatar Generator is a site where you can make free logo for free.Also they have 6,000 custom avatars to choose your style to make a logo. 8. Addesigner- you can make a free banner ads for your website in seconds! Choose from 91 unique, fully-animated designs, customized with the text and fonts you want. 9. Logo Maker- This website is simple hence it offers you to create up to 6 free .jpgs images and then afterwards pay $49 if you want more than that. This site has huge collections of free icons etc. 10. Cool Archive- You can sign-up for making an logo. I hope these sites may help you a lot in creating your site logo or banner the best. www.internetearning.net is an earning site for online earning. Anyone can learn about online earning from www.internetearning.net . So, learn about online earning from www.internetearning.net . How to Migrate from WordPress to Blogger Blog?